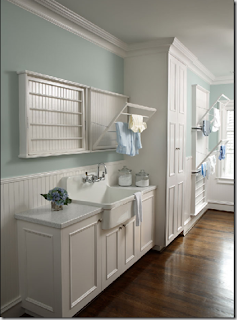 What a wonderful laundry room- so clean, fresh. This is actually an enjoyable activity now. Thank you Things That Inspire blog for the photo.